Today, Ford announced that they will be recalling approximately 65,000 Fusion sedans because the key can be removed from the ignition even if the car is not in the park position, causing the vehicle to roll away. 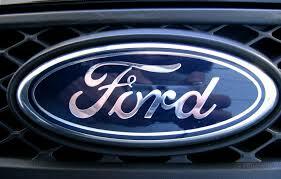 Ford says that they are not aware of any accidents or injuries involved with the malfunction. According to the report, the malfunction impacts the 2014 and 2015 Fusion model Sedans. Currently, the Fusion is Ford’s best-selling sedan in the United States. So far this year, over 250,000 units have been sold, which is up 20 percent from last year. Based on the trends from this year, I wouldn’t expect this recall to impede the sales of this highly popular vehicle. This entry was posted in Ford and tagged 000, 65, ford, Fusion, recall, sedan. Bookmark the permalink.